At a Zandvlei Trust meeting in November 2001, the Zandvlei Inventory and Monitoring Programme (ZIMP) was initiated. One facet of this was the Flora Of Zandvlei. A group of volunteers was assembled under the leadership of Prof. Tim Hoffman. They learnt the basics of plant identification and received a permit to pick plants when necessary. 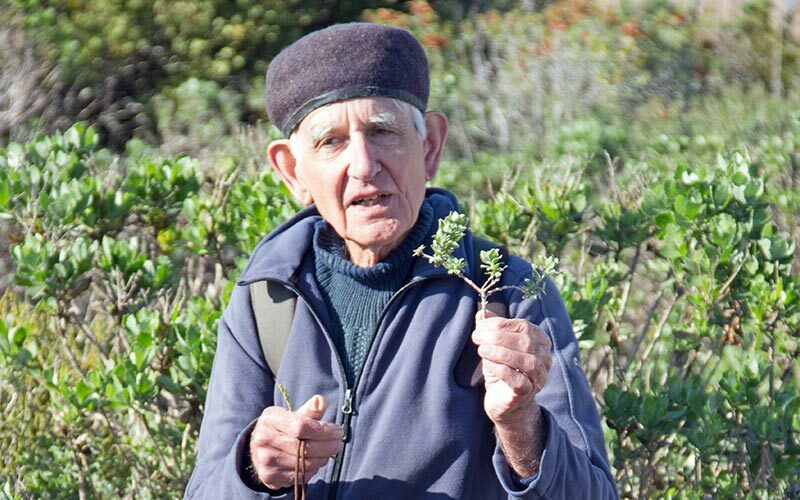 They visited the Bolus Herbarium at the University of Cape Town and devised a method to record their findings including learning how to press plants properly. With time it was decided to create a Herbarium for the Zandvlei Reserve. Two steel cabinets were donated by Rotary and adapted for this purpose by Gavin Lawson. In July 2011 the Herbarium was opened at the Education Centre at the Zandvlei Reserve. One cabinet holds all the Monocotyledon specimens and the other has Dicotolyledons. There are also lists of all the plants found, their Family, Genus, Species and common names and advice on using the facility. Just over 500 plants have been recorded (mostly endemic to the area but including those that have been introduced). The Herbarium is a valuable resource for anyone wanting to identify plants. It is also a record of what has been growing in the Greater Zandvlei Estuary Nature Reserve at the beginning of the 21st century. Unrecorded species are still found occasionally, and sadly some of those that have been recorded in the past are found no more. The keys to the Education Centre and the Herbarium are at the Zandvlei Nature Reserve Office and the Herbarium can be visited by special arrangement.